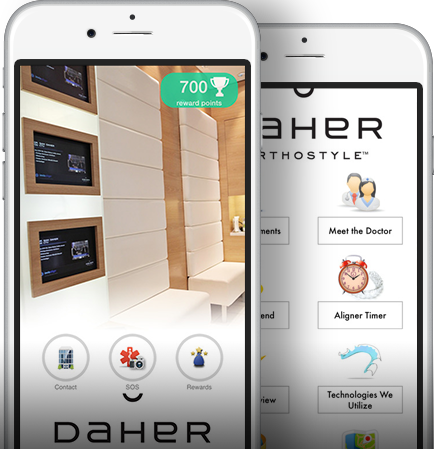 At Daher Orthodontics in Calgary, our patients are the number one priority. We believe in the importance of understanding, so we have answered some frequently asked questions about orthodontics. Q: What does orthodontic treatment involve? Orthodontic treatment corrects malocclusions in the teeth or jaws. A malocclusion describes the misalignment of teeth due to several genetic or environmental factors. Misalignment can occur, for example, from the improper positioning of the jaw, thumb-sucking, and missing teeth. Dental malocclusion refers to issues with teeth. Crooked, twisted, impacted, crowded or widely spaced teeth are examples of dental malocclusions. Skeletal malocclusions, by contrast, involve the jaws, which could be twisted, misaligned, or simply not the correct size for your teeth. An examination of your bite, including x-rays of your teeth and jaws, is necessary to determine the type and extent of your malocclusion, or any potential future problems with your bite. Afterwards, Dr. Daher is able to recommend the right treatment plan for you, based on your expectations, lifestyle and severity of malocclusion. Q: Is an orthodontist the same thing as a dentist? An orthodontist is a specialized dentist with extensive dentofacial studies. Though some dentists can attend continuing education courses to perform certain basic orthodontic procedures, more complex orthodontic cases require a specialist. You may be referred to Dr. Daher by your general dentist; however, we do not require a referral for a consultation. Q: Why should I get orthodontic treatment? Perfectly aligned teeth are not just aesthetically-pleasing and a boost to your confidence. Misaligned teeth are often difficult to protect from cavities, tooth decay and plaque buildup as it’s very difficult to properly care for misaligned teeth. Gaps or tight spaces may allow for trapped food particles, which feed the bacteria on your teeth. Q: Is orthodontic treatment just for kids and teenagers? No, nearly 25% of orthodontic cases are adults. If you have put off orthodontic treatment or if your smile has shifted out of place in adulthood, you have options to correct your smile, such as Invisalign invisible aligners or clear porcelain braces. Q: When should my child see the orthodontist for the first time? As per the Canadian Association of Orthodontists, the best time for your child’s first visit to the orthodontist is by age 7. Many orthodontic problems detected early can be corrected through non-surgical procedures, such as Invisalign or fixed braces. Dr. Daher can determine from a brief initial consultation whether orthodontic treatment is required immediately, or in the future, and determine the ideal schedule to monitor your child’s growth and dental development. These visits are offered as a complimentary service. Can't find the answer you're looking for? We're standing by to answer your question!